Golden Retriever Rescue of Atlanta (GRRA) is an all-volunteer organization dedicated to saving Golden Retrievers that are in need of new forever homes. Started in 1991, GRRA is a 501(c)(3) nonprofit registered with the State of Georgia and is licensed by the State Agriculture Department as an animal shelter and rescue group. 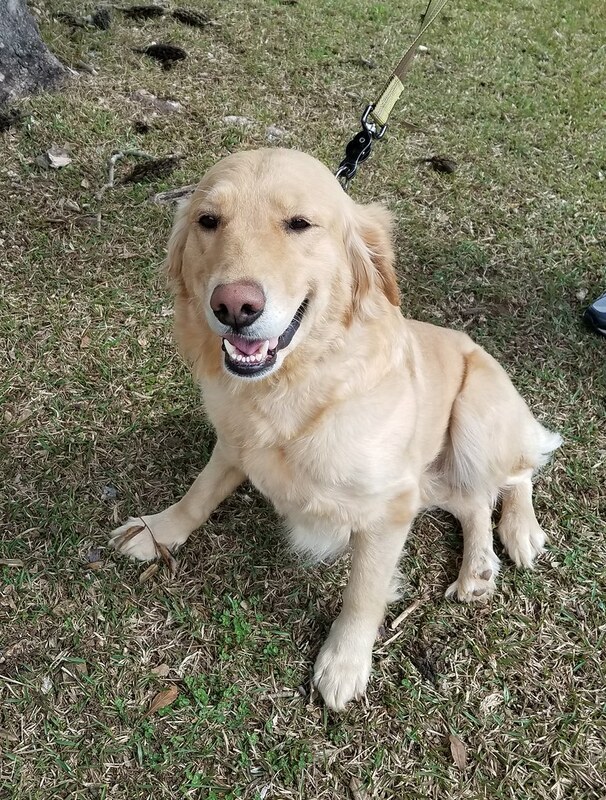 Bella Mae is a beautiful purebred Golden Retriever who has had a rough couple of years. Please consider donating to help defray the surgery and rehab cost. Don't wait! 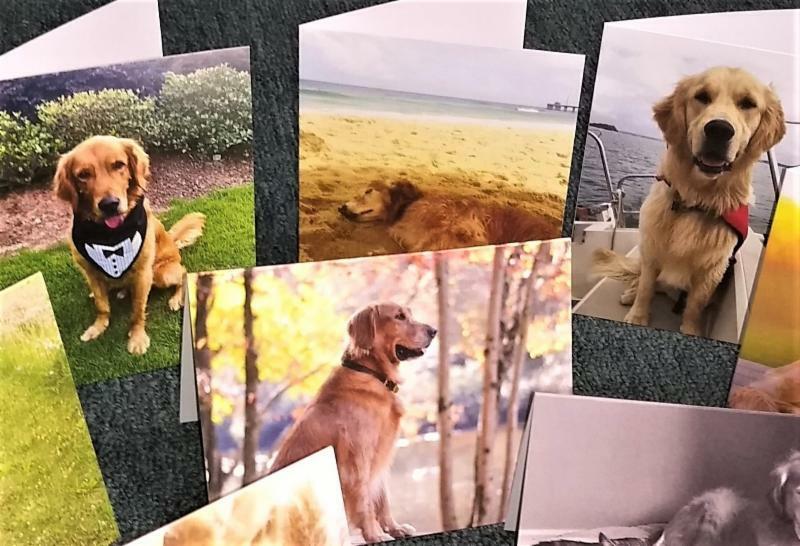 Get a box of twelve blank notecards on heavy cardstock each featuring a delightful Golden Retriever! If you aren't already a member of Golden Retriever Rescue of Atlanta, please consider becoming one and assisting in our mission of saving and finding forever homes for Goldens. Donations made from this page go directly to the medical fund for rescue dogs. All donations to GRRA are tax deductible. Our ID number is #58-2186090 (needed for United Way or corporate matching funds programs). Enter your email address below and we'll keep you posted on events, adoptions, and other relevant GRRA news! We'd be thrilled if you wanted to connect with us online.